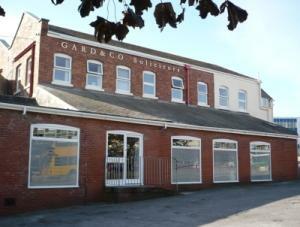 Gard & Co's team of dedicated solicitors and lawyers are based in the centre of Plymouth. We have been serving the Plymouth community since at least 1822 and deal with all the main areas of legal advice and assistance. We are regulated by the Solicitors Regulation Authority no. 00047766. We are members of APIL, Resolution and the Fastmove group of solicitors. We offer a free initial interview during which we will discuss fees so that you are aware of the costs before committing to anything. Our fees will vary according to the type of legal issue to be resolved but in many cases we are able to operate on a fixed fee basis. We offer a no win no fee personal injury service and guarantee you 100% of any compensation awarded. We also offer a no move no fee service in our conveyancing department, so if your move fails for any reason you will not have to pay our fee.